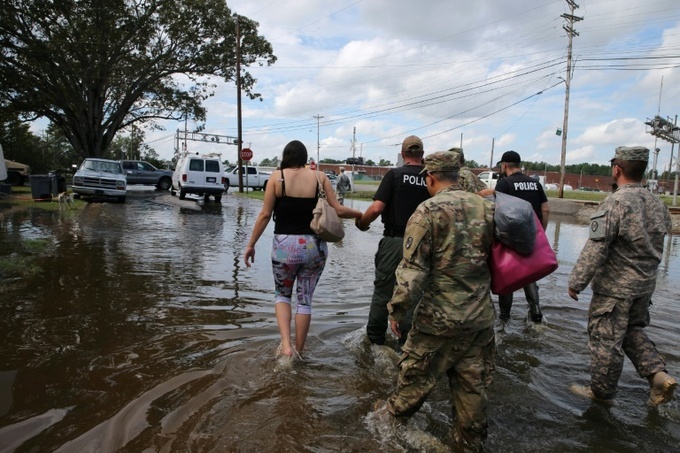 Rain-gorged rivers threatened further flooding on the storm-battered U.S. East Coast Monday as the death toll from Florence jumped to 31. Emergency management authorities in North Carolina said an earlier toll of 17 had risen to 25 since Hurricane Florence, now a tropical depression, made landfall Friday as a Category 1 hurricane, with its aftermath threatening further flooding as well as potential dam failures and landslides. The National Weather Service released rainfall totals as of 2:00 p.m. (1800 GMT) for parts of North Carolina. The largest amount so far was in Elizabethtown, which has received 35.93 inches (0.91 meters).